One day a week, the course is taught over three terms and begins annually late September. Covers the best in planting design, whilst training in the more serious aspects of horticultural practice. 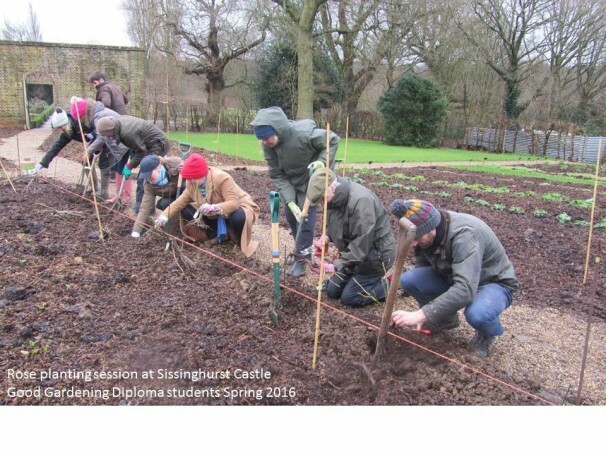 Horticulture lectures at the School are led by Edward Flint, Ben Pope and Derry Watkins with termly instruction on drawing up professional planting plans tutored by Rosemary Alexander and Rachel Myers helping students obtain work after the course. Practical sessions are held at Sandhill Farm House near Petersfield, home of Rosemary Alexander and at another highly regarded garden under the guidance of the head gardener. Sandhill tutorial sessions with Simon Hewitt, Kew trained and head gardener at The River Café and Tina Woodward. Exclusive visits to private gardens are an integral part of the course. We expect a high degree of commitment from our students. Work is graded on regular ongoing assessment and provided the required standard is reached, the final marks are graded Distinction, Credit or Pass. Our Diploma being held in high regard internationally and an asset in securing future work. Prospective students are advised to attend an information session which explains the work involved and the required level of commitment. Information sessions are being held regularly but please send an email to book and await our confirmation. Please tell us why you wish to do the course and what you hope to do after the course.